Você ainda não ouviu falar de Sarah Maldoror (1938)? 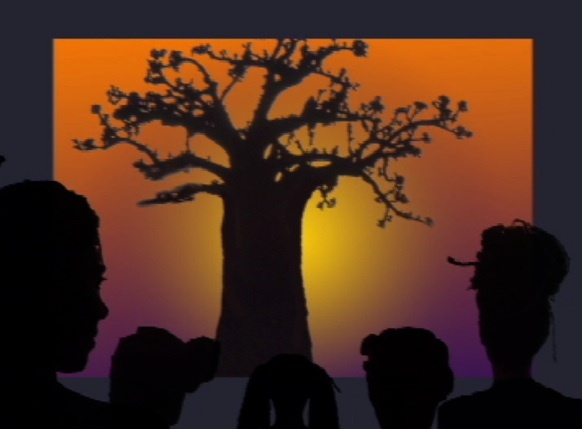 Pois bem, ela é uma das principais cineastas de África e tem uma extensa obra ainda pouco conhecida no Brasil. Um dos seus principais filmes, Sambizanga (1972), retrata o papel da mulher durante a guerra civil de Angola onde a cineasta viveu durante anos. O roteiro do filme foi escrito com Mário Pinto de Andrade, poeta e militante contra o colonialismo português, autor de Primeiro Caderno de Poesia Negra de Expressão Portuguesa (1953) e seu marido na época. 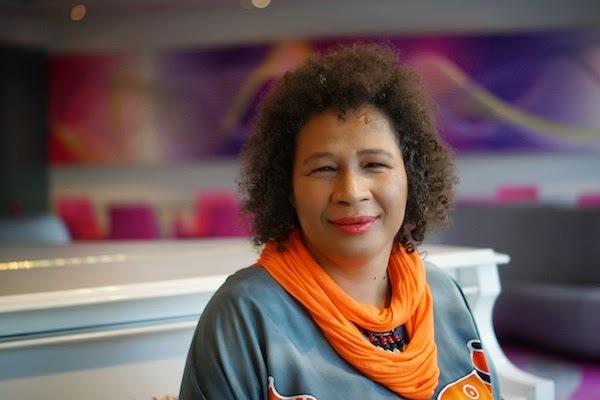 Neste post, traduzimos o artigo de Beti Ellerson para o seu blog African Women in Cinema, um dos principais canais do mundo a divulgar o trabalho de mulheres negras e africanas no cinema. Boa leitura! 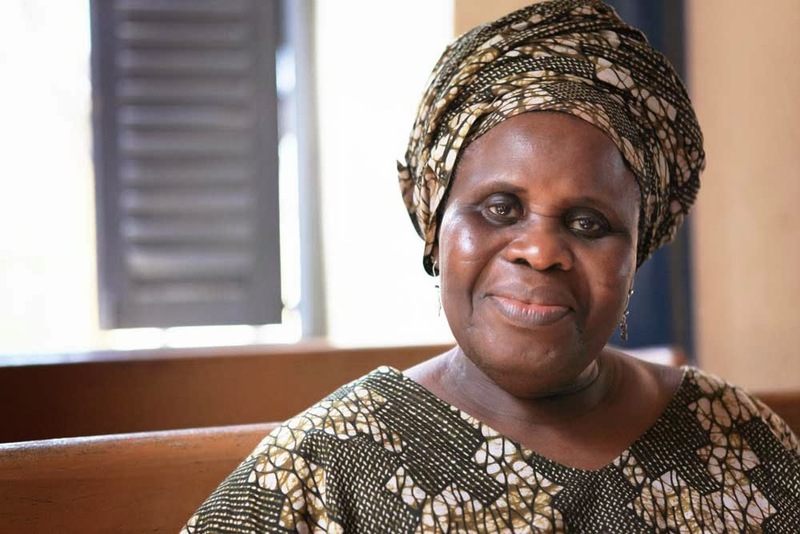 A key goal of the African Women in Cinema Blog is to feature current research and critical discourse, through interviews, conference proceedings and analyses. Here at the end of this year is a selection of these articles published since its creation. Le Blog sur les femmes africaines dans le cinéma a pour vocation de mettre en exergue la critique et la recherche à travers les entretiens, les comptes rendus de conférences et les analyses. 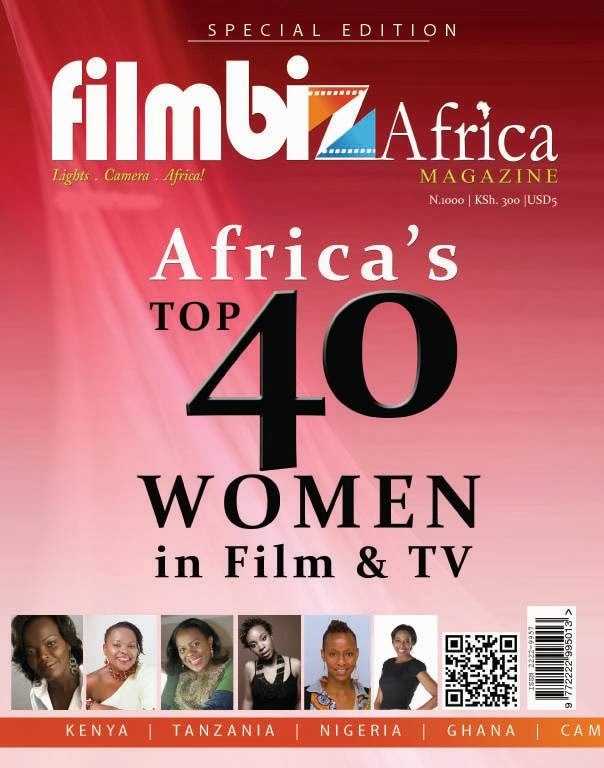 En cette fin d’année, voici un recueil d’articles publiés depuis la création du Blog sur les femmes africaines dans le cinéma. 06 Nov 2014 - Canal+ Afrique : L’Afrique au féminin c’est quoi ? | African women’s perspectives, what is it? Ghanaian filmmaker Anita Afonu is passionate about the preservation of Ghana's cinematic history. With enthusiasm and hope, she talks about her film Perished Diamonds which relates the history of Ghanaian cinema, and the initiative to restore its hidden and lost legacy. Anita, you are a graduate of the Ghanaian film school NAFTI. Talk about how you came to cinema and a bit about the film school and its mission. I attended the National Film and Television Institute (NAFTI) from 2006 to 2010 where I pursued a programme in Film Directing with an option in documentary filmmaking. I had always wanted to be a filmmaker because to me, having the ability to tell a story and have an audience watch your film meant that you wield a lot of power and therefore can change the perceptions and idiosyncrasies of people through film. The National Film and Television Institute was established in 1978 to train people to produce films and other audiovisual material for the government of Ghana. The school offers a four-year bachelor degree programme in all aspects of filmmaking. I was a privileged spectator at the screening of your film Perished Diamonds, a documentary about the history of Ghanaian cinema. I was touched by your in depth research and your tremendous will to get it made. What motivated you to make the film? I was sorting out films at the Information Services Department for my friend Jennifer Blaylock, a cinema archivist who had come to do some research on Ghanaian cinema. While working with the films, I saw how dilapidated the Information Services Department was and how the film reels had been left to go bad. I also realized that I had not seen most of these films. I thought, "Here I am, a film school graduate calling myself a filmmaker". I thought that is was rather ironic, asking myself what had happened. Why had the film reels been left to go bad? And it broke my heart to personally discard some of the films because they had gone mouldy, in an almost soup-like state. I felt that if I could trace the origin of the problem and find a way to repair the damage, things could improve. I knew that if I made a film about these conditions people would wake up. And that’s what motivated me to make this film. Jennifer was very supportive and we put together a proposal to the Goethe Institute which funded the film. You have also researched the history of Ghanaian cinema and cinema in Ghana that is related in the film. Give some background on Ghanaian cinema history and your process in learning about it. Generally, cinema was used by the colonizers to instil in Africans, and Ghanaians in this case, an attitude of subservience. The films were mainly instructional materials about keeping homes clean, accepting Jesus Christ and embracing Christianity, and others along this line. The West African Film School was set up in 1948 to train people in film to essentially work as assistants to British filmmakers who were commissioned to come to Ghana to make propaganda films. When Dr. Nkrumah became president, he took a personal interest in film because he believed that the medium of film was very powerful; that it had the ability to change the mind-set of Ghanaians to accept and hold their own, and thus remove the colonial mentality that Ghanaians had held that white people were better than black people. After learning about this I spoke to veteran filmmakers and people who had worked closely with President Nkrumah, including his personal cameraman. I read a number of articles about Ghanaian cinema and watched some films that were made during that time period. However, most of the research was drawn from interviews, which are shown in the film. I was delighted to learn that President Kwame Nkrumah was behind the creation of the Ghana Film Industry Corporation. What is the history behind this initiative? Former President Nkrumah believed that the medium of film was a very important tool to change the mentality of the Ghanaian if he was going to make any changes as president. He believed that by showing films made by Ghanaians and shown to Ghanaians, that it would boost their self-esteem and encourage them to work for the better Ghana that he had set out. As president Dr. Nkrumah laid the groundwork for Ghanaian cinema; he brought new film equipment and an editing suite; he sent Ghanaians to London to train in filmmaking; and he established the Ghana Film Industry Corporation incorporating the Lebanese-built cinema into it. Another creation was the biggest sound stage in Africa at the time, which continues to hold this record today. Films were churned out often, increasing Ghanaians' appetite for film. President Nkrumah had a personal studio at Flagstaff House, his office, where he made recordings that were transmitted to the Ghanaian audience. He read every script that was written, and personally made corrections to them before they were shot; he even viewed the first cut of the films before they went into final cut. In fact, he took a personal interest in film. Every activity he undertook as president was filmed and screened for the public at cinema houses; a way to show the transparency of his government. The Ghana Film Industry Corporation became the hub of filmmaking in West Africa. Even people from Nigeria came to Ghana to train as filmmakers. Nkrumah looked at the development of the Ghanaian and the African in a holistic way. He believed that filmmaking formed a big part of a country’s culture and he was determined to move Ghana and Africa to the next level of development. The story behind the destruction of the Ghanaian film industry was very unsettling to watch and hear about, your meticulous research provided a treasure of information as some of the witnesses to the demise gave first hand accounts. How did this destruction come about? The destruction of Ghana films occurred when the Ghana Film Industry Corporation was divested for fifteen years to the Malaysian company, GAMA Media System for the sum of 1.23 million USD. GAMA Media System, obviously interested in television and not cinema, turned the location into a TV station, which provided content from both Malaysia and Ghana. Since they needed space for their TV equipment and other items, they got rid of the film equipment, including all of Ghana’s archives. Evidently not concerned about Ghanaian heritage, these treasures were dumped outside, left to the mercy of the weather. What was your reaction when you first learned about the damage? To say that I was shocked to see and hear about this is an understatement. I couldn’t eat properly for days. I was emotionally troubled about this. And I think that was what kept me going to make the film. There were certain times during the film production when I was burning out, but whenever the thought of those films came to my mind, it gave me more strength to keep pushing forward to complete the project. Of course to imagine that Ghana’s cultural heritage was sold to another country, Malaysia, and partially destroyed is shocking. Your passion to restore these films and to document the story is truly heartfelt. Talk about the story behind this arrangement with Britain and what attempts are being made to have these “perished diamonds” returned. Luckily for me, or better still for Ghanaian filmmakers and Ghana, a number of the films are being stored in laboratories in England. This occurred because at the time when these films were made, Ghana did not have a colour-editing machine so they had to be sent to England to be edited. The negatives were stored there and have remained there since. All of the black and white films have been destroyed. The government of Ghana pays a yearly rent to the labs to check and keep the films in pristine conditions. During the making of the film, I found it difficult to get archival material that I felt should be available to me to use as a filmmaker and researcher. I figured that if these films could be digitized and the digital copies brought here to Ghana, it would make it easy for people like me to be able to have access. I also felt that being a Ghanaian filmmaker that I had every right to access those films without any difficulties. However, because they are being stored in England, accessing them is almost impossible. Since Ghana did not have the facilities to store the celluloid films, I thought it would be better if digital copies of these films were brought to Ghana so that researchers and fellow filmmakers could access them. Hence, I started an initiative to digitize these films. 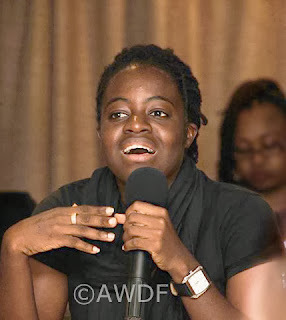 Yes, during the Action Plan Breakout Group Sessions at the 2nd African Women's Film Forum held in Accra in September 2013, you proposed an initiative to preserve and digitize the films produced during the Kwame Nkrumah era. What are your plans and the campaign in search of funding? My intention is to have the colour materials sent to London to be digitized, and have those digital copies that are stored in London brought here to Ghana so that filmmakers and people doing research may access it. In addition, it is a revenue-making venture for the government since fees will be charged for those who want to use it. Moreover, I have been in talks with Rev. Dr. Hesse, the personal cameraman of Dr. Nkrumah, who went to London to identify over 200 films that were recently discovered in the Ghana High Commission vault. He shot the majority of the films and is familiar with all of them. For now, my goal is to be able to start with about fifty of the most important films that the Reverend can identify. Those films will be cleaned, catalogued and stored. With regards to funding, I will be meeting Prof. Ampofo, the director of the Institute of African Studies at the University of Ghana who will advise on funding. And your future plans, films, scripts? I am currently working on a short piece. At the moment I am still writing, I want to do a film on African teenage girls. I want to be an inspiration for other young girls who are coming up. I realize that a lot of girls or young women are confused about what they want out of life. The media is heavily influencing their choices. There is plenty of talk about women being empowered but I personally do not see it. All I see is a bunch of elite women who are angry and complain bitterly about the glass ceiling. A lot of young girls are not being encouraged and that is what I want to do. I run a small production house called Roaming Akuba Films. We make commissioned films, consult for foreign film crews and provide other general services with regards to filmmaking. Unfortunately, my website was hacked some weeks ago and I am unable to retrieve all that I lost. Hence, I am currently working on creating a new website. PD TRAILER - Broadband from Anita Afonu on Vimeo. 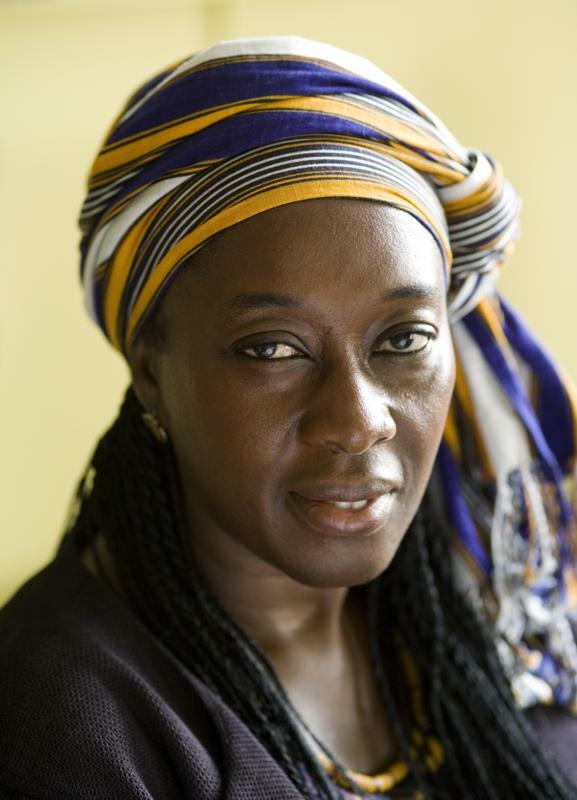 La cinéaste Anita Afonu du Ghana est passionnée par l’histoire cinématographique de son pays. Avec enthousiasme et espoir, elle nous parle de son film Perished Diamonds (Les trésors péris) qui raconte l’évolution du cinéma ghanéen et ses pionniers, ainsi que sa brutale déchéance. Récemment, pour aider les futures générations de chercheurs et de cinéastes à mieux connaître le cinéma du Ghana, elle a initié un projet pour restaurer ses héritages cachés voire oubliées. C’était quand elle s’est rendue à l’Information Services Department pour travailler sur un projet avec une collègue qu’elle a pu y voir l’état de délabrement des bobines entreposées. À partir de ce moment elle a décidé qu’il fallait faire un film pour informer les gens de cette histoire choquante. Elle a découvert pendant sa recherche qu’à son indépendance en 1957, le Ghana était au centre de la réalisation cinématographique en Afrique de l’Ouest. Kwame Nkrumah, le premier président du Ghana avait la conviction que pour faire les changements qu’il voulait en tant que président, le cinéma était un outil très important pour transformer les mentalités des Ghanéens qui gardaient une attitude d’infériorité instaurée pendant l’époque coloniale. L'ancien président a jeté les fondements du cinéma ghanéen : nouveaux équipements de tournage et de montage ; formations cinématographiques des Ghanéens en Angleterre ; création du Ghana Film Industry Corporation [la compagnie ghanéenne de l'industrie du film] et une salle d’enregistrement parmi d’autres initiatives. Convaincu que le cinéma participe en grande partie à la culture d’un pays, Kwame Nkrumah était déterminé à faire avancer le Ghana, et l’Afrique à l’étape suivante de leur évolution. 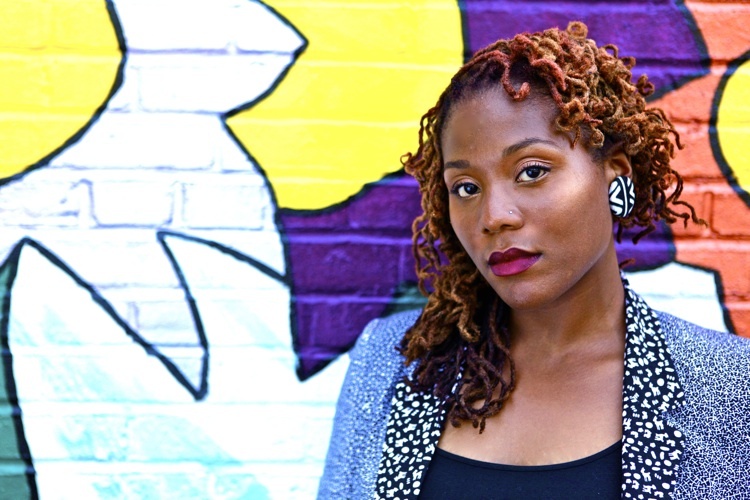 D’une interview en anglais avec Anita Afonu de Beti Ellerson, novembre 2013. 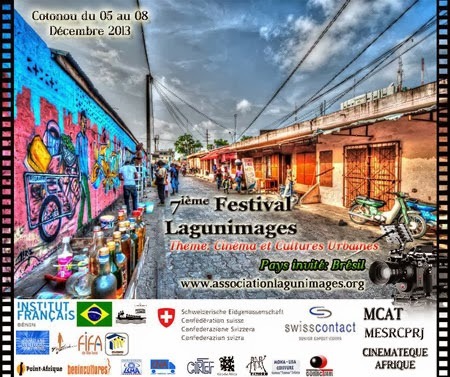 Christiane Chabi Kao, director/producer from Benin, is the president of Festival Lagunimages, which will open its 7th edition from 05 to 08 December 2013 in Cotonou. Christiane, you are president of Festival Langunimages. Talk a bit about yourself. 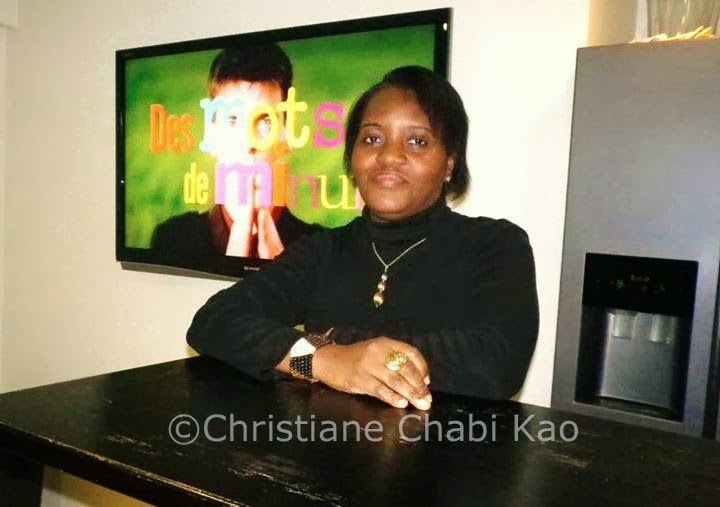 I am Christiane Chabi Kao director and producer from Benin. I directed a 52-minute documentary in 2005 entitled Les enfants esclaves. In 2007 I produced and directed a feature entitled Les inseparables, which won the Africa Numérique award at Vues d'Afrique in Montréal, as well as the Human Rights Special Prize at Fespaco. Presently, I am preparing the premier season of a 20 x 26 series, entitled "Les Chenapans". I received funding for it from the OIF (International Organisation of the Francophonie), but the budget is not yet complete so I am looking for additional backing. The pilot is already complete as well as the storyboard for certain episodes. Festival Langunimages has become an important event in Benin. What is the festival’s history? The Festival Lagunimages was created by Monique Mbeka Phoba in 2000. In 1997, as she had to return to Belgium, she created an association of which I am president. The festival is a biennial that organises free film and documentary screenings for the public which are shown in cinema houses or in outdoor venues. The association also organises workshops and training sessions for audio-visual professionals (directors, producers, technicians, etc.). During the year between festivals there are screenings in schools and hospitals. A conversation with Christiane Chabi Kao and Beti Ellerson, November 2013. In 2050, more than a billion Africans will be urban dwellers. This rapid urbanisation is a phenomenon that sociologists have named “Homo Urbanus”. The city in general, and the African city in particular, is a wonderful melting pot of cultural mixing. It is also the favourite site of expression for youth who are exploring new ways to assert their identity. In addition to the regular sections of Lagunimages from 05 to 08 December 2013: screenings, workshops and professional meetings, this edition has created a platform specific to Urban Cultures. The theme “CINEMA AND URBAN CULTURES URBAINES”, has as objective to introduce the festival goers to the new languages of the city. The physical and audiovisual encounters will be articulated around artistic expressions such as rap (for music), slam (for spoken word), graffiti (for painting), the flash mob d’azonto and Capoeira demonstrations (for dance), and the Urban Dress Code (for fashion). La réalisatrice/productrice Christiane Chabi Kao du Benin est présidente du Festival Lagunimages dont la 7ème édition se déroulera du 05 au 08 décembre 2013 à Cotonou. Christiane, vous êtes présidente du Festival Lagunimages. Parlez un peu de vous-même. Je suis Christiane Chabi Kao réalisatrice et productrice de nationalité Béninoise. J'ai réalisée en 2005 un documentaire de 52 minutes intitulé Les enfants esclaves. En 2007 j'ai produit et réalisé un long métrage de fiction intitulé les inséparables. Ce film a eu le prix Africa Numérique à Vues d'Afrique à Montréal, ainsi que le prix spécial des droits humains au Fespaco. Actuellement je prépare la première saison de la série intitulée "les Chenapans" de 20 x 26 mn. J'ai obtenue le financement de OIF pour cela, mais je n'ai toujours pas bouclé le budget et je cherche des financements complémentaires. Le pilote est déjà prêt, ainsi que la maquette de certains épisodes. Ce festival est devenu une manifestation importante au Bénin, quelle est son histoire ? Le Festival Lagunimages a été crée par Monique Phoba en 2000. En 1997, comme elle devait rentrer en Belgique elle a créer une association, dont je suis la présidente. Le festival est une biennale qui organise des projections gratuites de films et de documentaires pour la population dans des salles ou en plein air. L'association organise aussi des ateliers et des formations pour les professionnels de l'audiovisuel (réalisateurs, producteurs, techniciens, etc...). Pendant l'année entre deux éditions du festival on propose des projections dans les écoles, les hôpitaux. Une conversation avec Christiane Chabi Kao et Beti Ellerson, novembre 2013. En 2050, plus d’un milliard d’Africains seront des citadins. Cette urbanisation accélérée, est un phénomène que les sociologues ont surnommé « Homo Urbanus ». La ville en général et la ville africaine en particulier est un formidable creuset du métissage et des échanges culturels. C’est également le lieu d’expression préféré de la jeunesse, qui explore de nouvelles voies d’affirmation identitaire. Du 05 au 08 Décembre 2013, se créera, à la périphérie des sections habituelles de la biennale Lagunimages ( projections, ateliers et rencontres professionnelles), une plate forme d’actions liées aux Cultures Urbaines. «CINEMA ET CULTURES URBAINES», thème de cette 7ième édition du festival Lagunimages, a pour ambition, de faire découvrir aux festivaliers les nouveaux langages de la ville. Pendant quatre jours, les genres seront décloisonnés. Les rencontres physiques et audiovisuelles, s’articuleront autour d’expressions artistiques comme le Rap pour la musique, le Slam pour le Spoken Word, les Graffitis pour la peinture, des flash mob d’azonto et des démonstrations de Capoeira pour la danse, l’Urban Dress Code pour la mode.